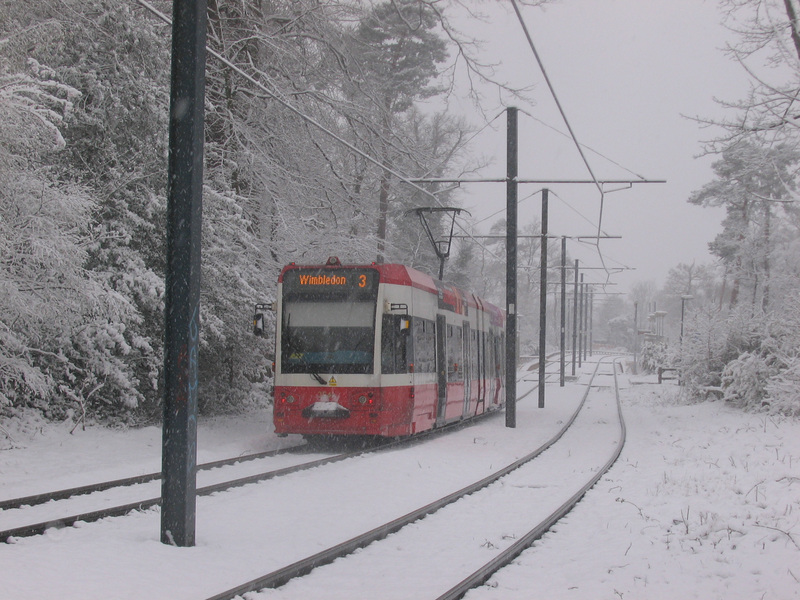 Another old article written for the journal of the Cambridge University Railway Club, this time looking at a small tramway in Austria which I visited in January 2003. 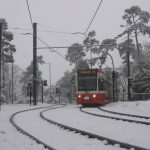 The accuracy of claims to the title of “the world’s smallest tramway” could doubtless form the basis of lengthy debate. One claimant to the title is is the 2·3 km line in the small Austrian town of Gmunden. 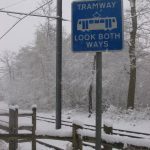 The single route system is also one of the world’s steepest tramways, with gradients of up to 9·6%. Gmunden stands on the shore of the Traunsee lake in Upper Austria, and has around 13 000 residents. 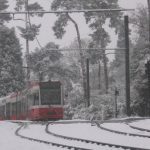 The town has two railway stations, the dual-gauge Seebahnhof terminus by the lake, and the Hauptbahnhof on the Austrian Federal Railways (ÖBB) Attanag-Puchheim to Stainanch Irding line. This is some distance from the town centre, and 60 m higher than the lake. 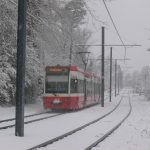 Linking the town centre with Hauptbahnhof is a metre-gauge tramway operated by Stern & Hafferl. 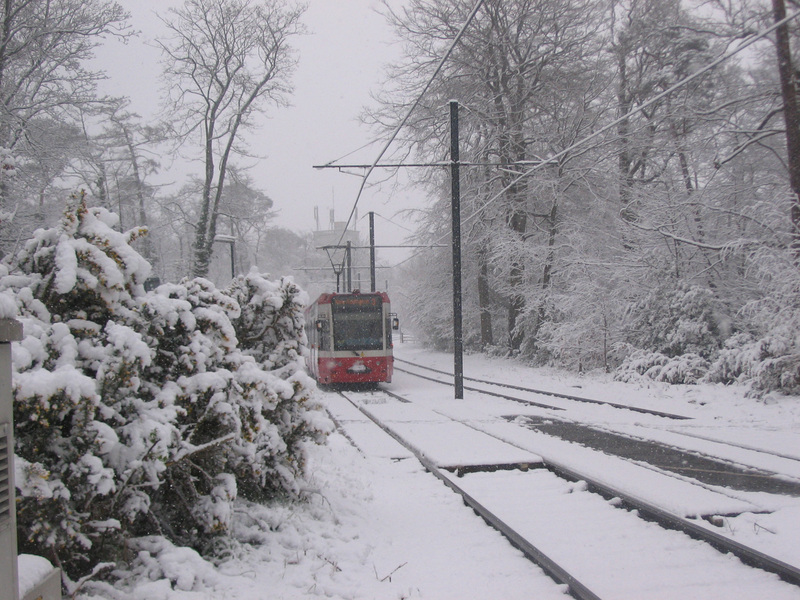 The line opened August 13 1894, with four trams. It is electrified at 600 V DC, and it was the company’s steady demand for power which brought an electricity supply to the town. ÖBB trains at Gmunden station. The town centre is a lot prettier than this! Stepping off the train at Hauptbahnhof, the tram stop is found straight opposite the station entrance, a common arrangement in Continental towns. 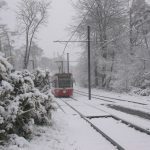 Crossing the road, visitors will find the tram waiting under a line of tall trees. The line to the town heads off to the left, and to the right some disused track extends over a level crossing, stopping amid the weeds in a disused railway goods yard area. 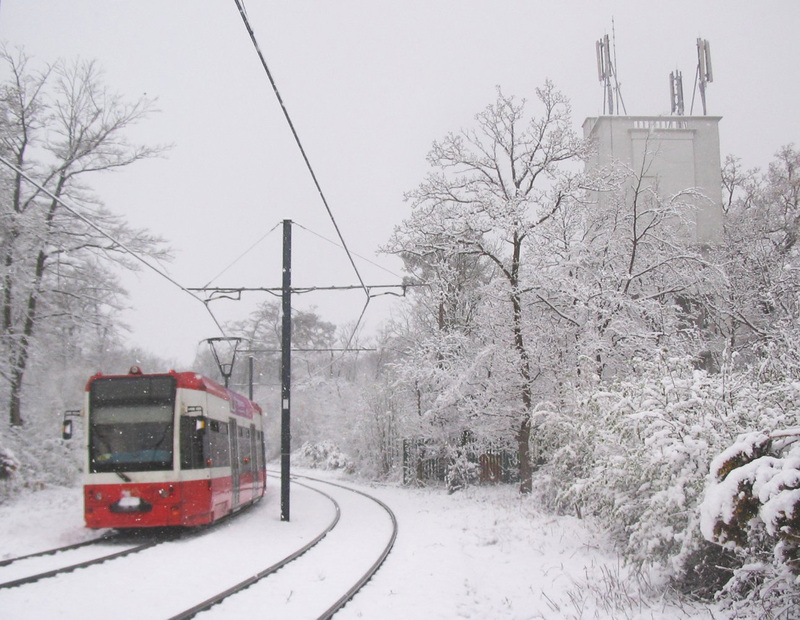 The tram stop opposite the entrance to Gmunden station, looking towards the town centre. A half-hourly serve was running when we visited, and the red and white liveried tram was waiting to meet passengers from the train. Services were being operated by car number 8, a typical European double-ended single car. Despite the somewhat incongruous advertising livery promoting a well-know hamburger chain, next to the doors are symbols telling passengers not to eat or drink on-board. Tram 8 about to depart from the town centre. Tickets are bought from the driver on boarding the tram. There were two of us travelling together, and we were sold a €2·60 family day ticket. By the driver was a pile of leaflets advertising a model railway exhibition at Seebahnhof, but unfortunately we were too early in the day to visit. There are 32 seats, and including us there were six passengers on board. The return trip had more custom, and not everyone was travelling all the way between the termini. Leaving Hauptbahnhof the tram runs on segregated ballasted track alongside the road. The line is single track, with two passing places, and forms a rough Z-shape as it descends to the lakeside. The maximum gradient is an impressive 9·6%, and quite noticeable. Waiting for a tram from Franz-Josef Platz to the main station. There are six intermediate stops along the route, marked by ornate metal signposts. 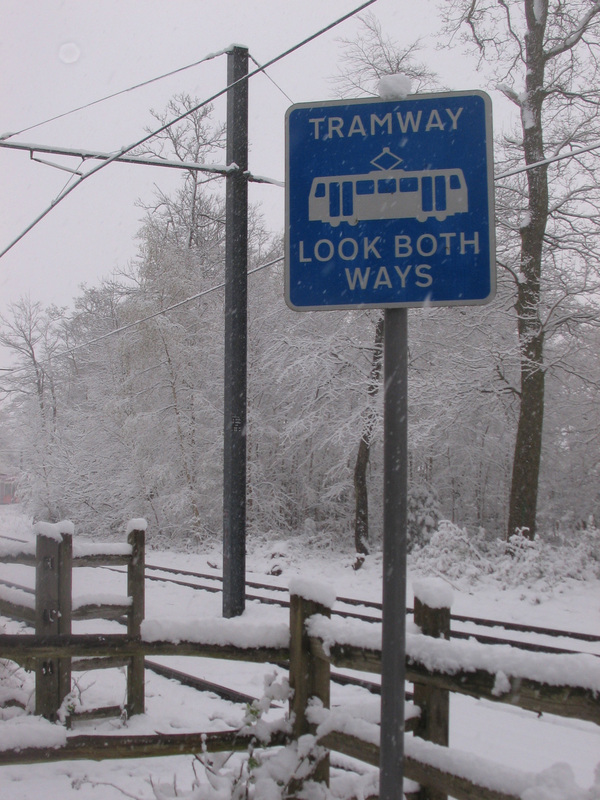 All are on the left going downhill, allowing the use of trams with doors on only one side. The depot stands alongside the line to the right, and part of the rest of the fleet of trams was visible inside as we passed. All the vehicles except number 8 were obtained second hand from other tramways. 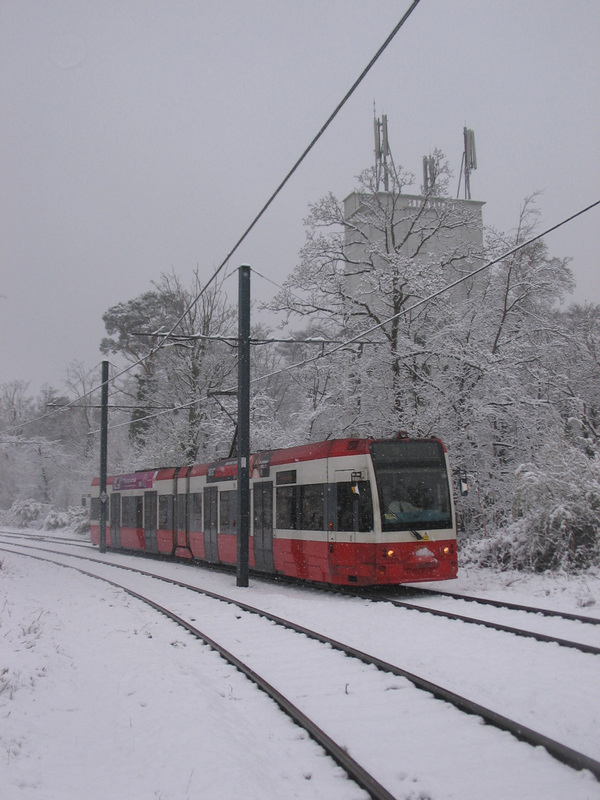 Tram number 5 was built in Graz in 1911. Our vehicle, number 8, was built by Lohner in 1962. 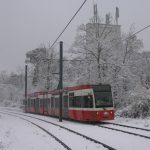 Numbers 9 and 10 were built by Duewag in 1952 for the Vestische tramway in Germany, where they were numbers 347 and 341. The two cars were moved to Gmunden in 1974, and entered service in 1977 and 1983. Open-sided vehicle number 100 was built in 1898. There are also some works cars. The line’s five staff both drive and maintain the vehicles. At Franz-Josef Platz tram terminus. The line twists and turns alongside the main road, then disappears down a back street. There is a mix of reserved track and on-street running, and at some points the tram is on the wrong side of the road. On the return trip an on-coming car pulled onto the pavement to let us pass. 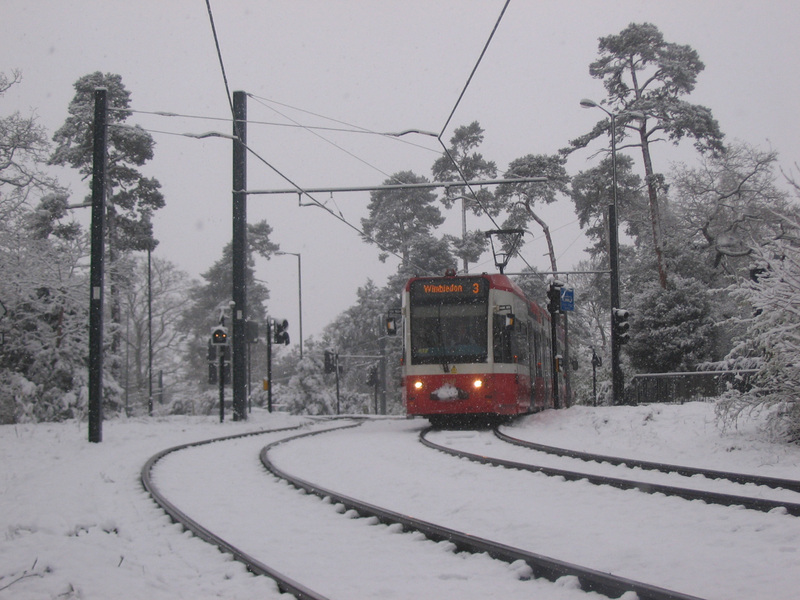 Trams from the station terminate in Franz-Josef Platz, opposite a lakeside promenade. The line originally continued a further 200 metres to the main square by the town hall, opposite a pier served by steamers on the lake. Unfortunately this required negotiation of an increasingly busy road junction, and so the line was cut back in 1975; a local campaign prevented complete closure. Beyond Franz-Josef Platz the overhead wires are still in place, and the route of the rails can clearly be seen under the road surface. There is some talk of re-instating the line, but negotiating the junction could be tricky. 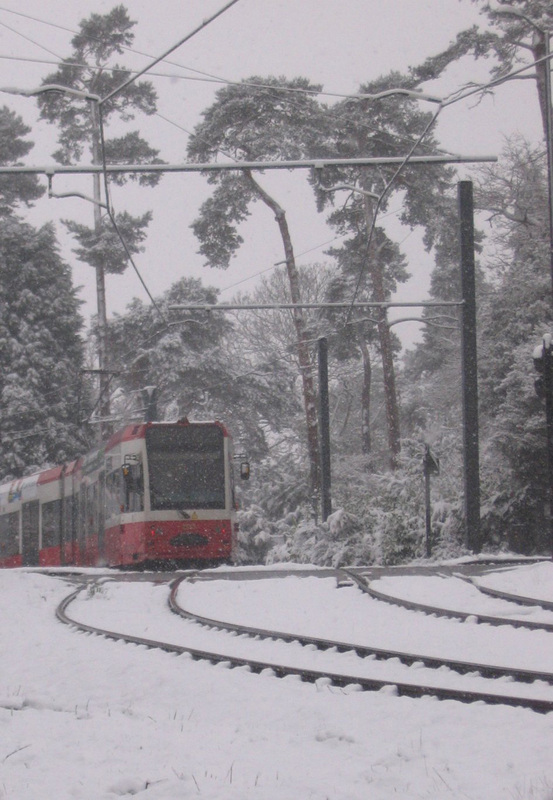 In the past there were proposals to extend the line over the bridge to the Traunseebahn station, a few minutes walk away. A line to the nearby town of Altmünster was also planned. The line is one of the more attractive tramways I’ve visited (you can tell you aren’t in Croydon! ), and would have been a great place for photography if we had had more time. An electric loco on the 760mm-gauge Mariazellerbahn. A steam special on the Mariazellerbahn.